Back in the days, one bought a Tata vehicle simply because there weren’t many other options. Everyone knew about the poor quality of their vehicles, the spine vibrating diesel engines and poor after sales service. But Tata put those days behind it and launched Tiago - a new hatchback in 2017. It was the best looking car the company had ever made and also claimed to be better overall. 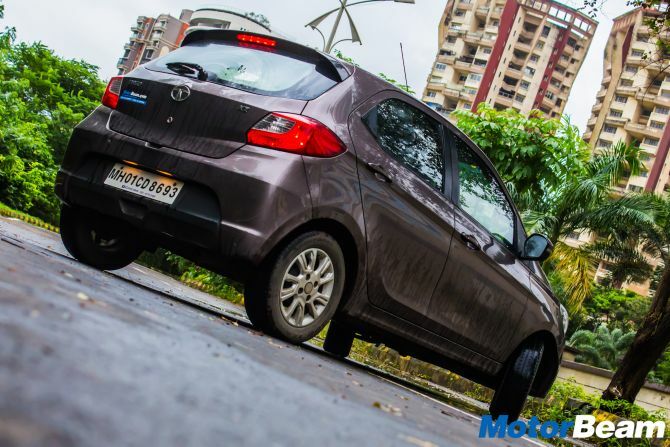 Like always, we were sceptical but went on to testing the Tiago with a neutral mind-set. It stayed with us for some months and now we can give an undertaking that if an overall package is what you want, then go and buy Tiago. Keep reading to know why. Let’s start with what meets the eyes first, the looks. The Tata Tiago is among the first cars to follow Tata’s IMPACT design philosophy and it has worked very well here. The headlights are largely oval but do sharpen at places where it is most needed and are met with the front grille. Tata has used chrome only around the fog lamp housings which looks very tasteful unlike some other cars which come with a chrome overdose. Quality of the sheet metal is good as we have hopped on top of the Tata Tiago quite a few times for those ‘candid’ shots and it never bent to the level that it didn’t regain its original shape. As much as we would have liked to stay there, it was the interiors that we spent the most of our time in. The quality, well, the quality is top-notch. 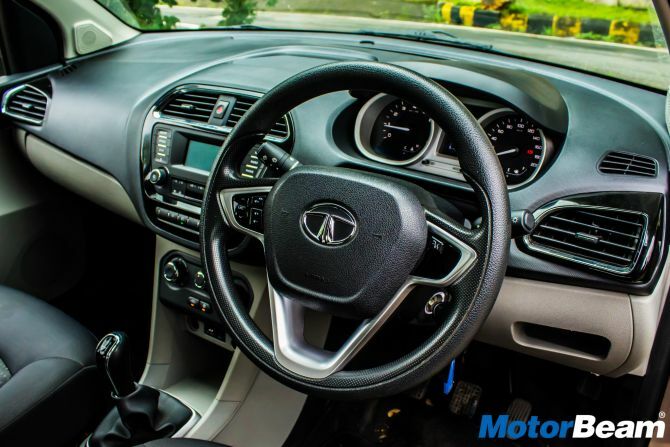 Not in terms of other cars but on Tata’s grading scale. The front seats are well contoured and long drives have never been a problem. The rear seats, however, feel a bit cramped for three people but do provide enough legroom and comfort. Long drives are especially enjoyable for the driver as the car has pretty good driving dynamics. We wanted to check the body-roll and took it to the ghats. And yes, the body-roll is very well contained. Even the feel and feedback from the steering wheel is good and the car feels planted at all times. The hatchback maintains its composure at high speeds very well. 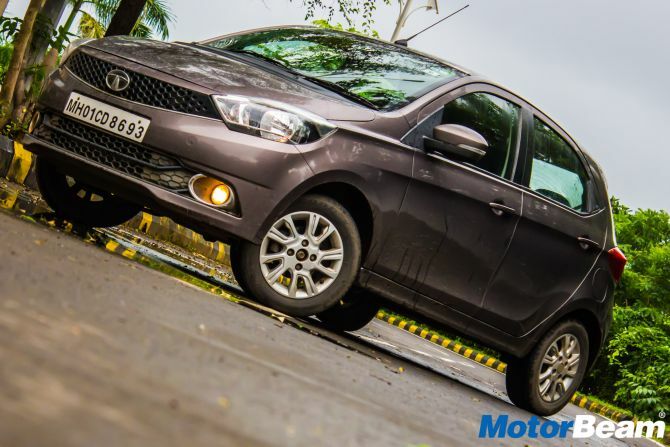 The Tata Tiago isn’t exactly something that we call ‘fast’ in the motoring world. 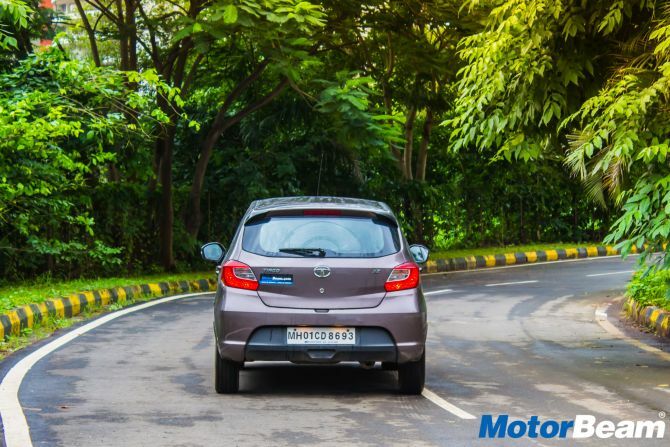 The engine feels strained at the top-end but the hatchback can easily break India’s speed limits but we don’t recommend you to do it. The power from the 1.05-litre diesel mill is, however, very apt for city driving. The turbo kicks in fast and lag free, thus allowing you to zip past easily. The car is very agile and doesn’t hesitate while changing direction or gears, which are shift in a slick manner. And while I was leaving my fellow traffic mates in the dust, my favourite songs played on the Harmon & Kardon music system. It simply sounds amazing. The treble is not too sharp and bass is deep. 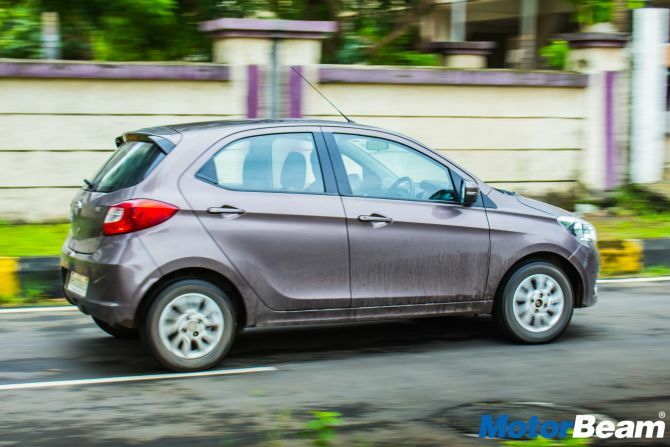 In short, there’s nothing really to complain about the Tiago, or is there? Actually, there isn’t much but the infotainment system does come with some glitches that prevent some phones from connecting to it. It also fails to respond properly sometimes but for the most part, works well. Our test car’s (it was a media car) seatbelt reminder constantly beeped even after we put the seatbelts on, WE ALWAYS PUT THE SEATBELTS ON but the good speakers did well to supress the noise. But everything, from the AC to the fit and finish of the car have been extremely well engineered by Tata. The newly produced vehicles have even better quality. 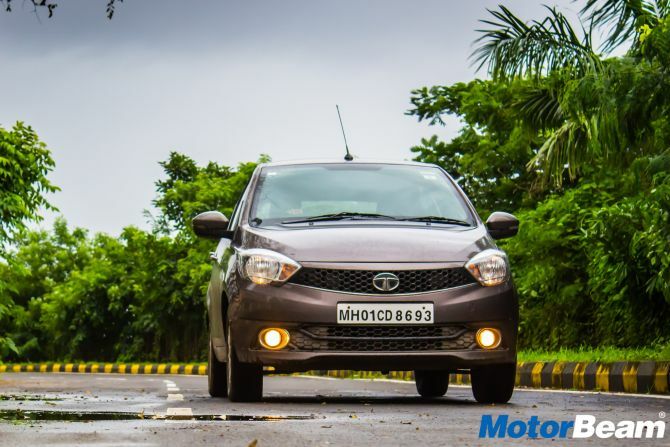 The Tata Tiago is a far cry from the earlier Tata cars that used to have lot of glitches. It doesn’t lack in practicality, affordability and drivability and even comes with interiors that are appealing and not repelling. 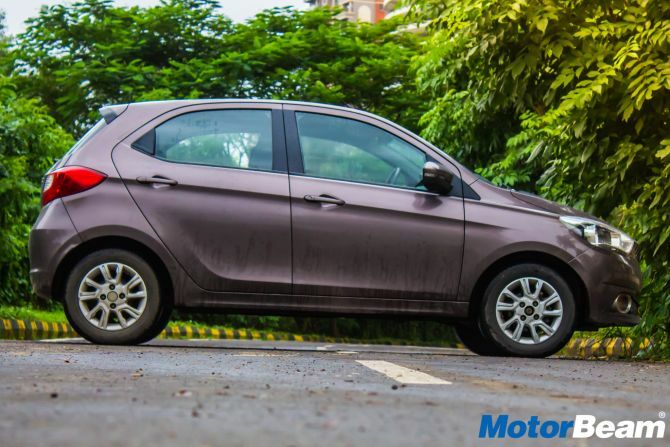 The exteriors are likewise and overall, the Tiago an excellent buy if you are a daily city commuter with a small family.